Now that Bandai is finally harnessing the power of the web, and the power of the Japanese Collecting community, they have begun offering exclusives through their "Tamashii Web Shop". The exclusives are usually add-ons to already released toys, are sold at a premium and are next to impossible to get in the States. I don't know about the Japanese market, but it is causing quite a stir among the foreign collecting community. Most of these items require that you have a Japanese address, meaning that you have to go through a middleman to acquire them at a premium. One could argue that if you don't like the price, don't buy them. But to me the issue is that by doing this Bandai is actually giving you less for your money. In the past, SOC and other collectors items were simply packed with every item that ever appeared in the show. 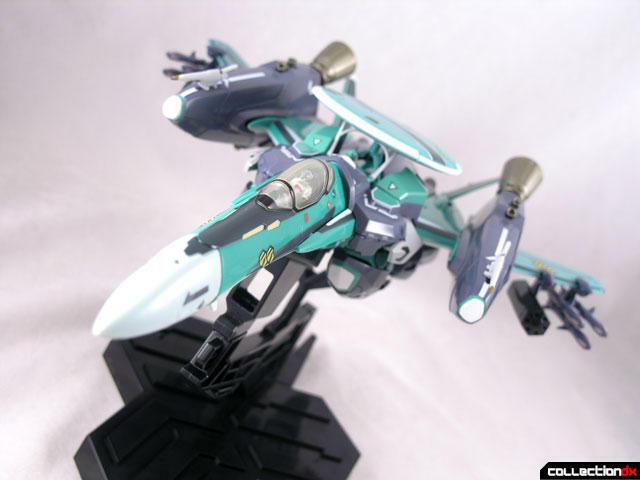 Take for example, the giant cannon with Ideon, or the hover vehicle with the Walker Machine Galliar. These days though, those items would have been offered as web exclusives and tack another $100 onto the price. Now Bandai can charge more for the same items, and pack less into the toy. 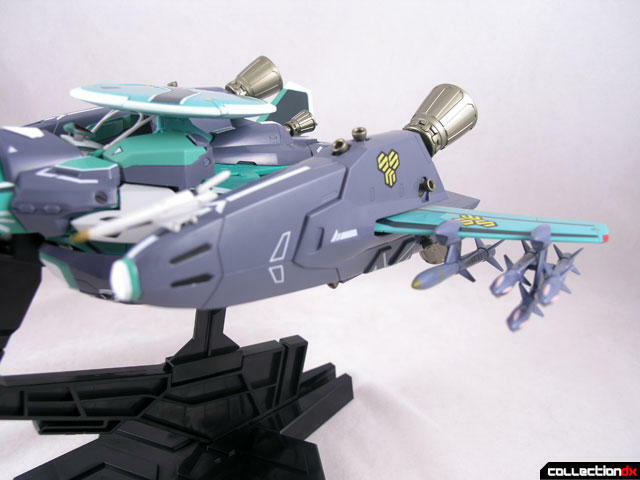 An upcoming example is the upcoming Big O Soul of Chogokin. Key gimmicks and accessories are not packed in with the toy, rather they are being offered as a mail-away. That $100 SOC just became $200. Bandai knows this. They have tested the market in the past to see what we will bear. 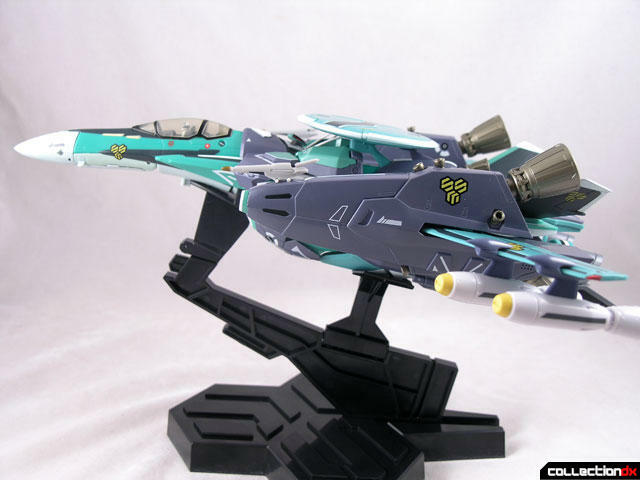 For example, the Soul of Chogokin Raideen set. You could buy the regular set, or the DX set with the giant stone head. This was a great approach because both sets were available at mass market retail. But maybe the market couldn't support both releases? Who knows? 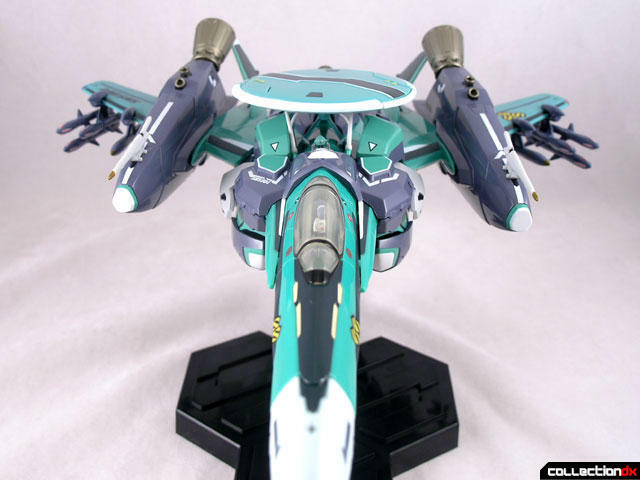 Why not do the same with Valkyries? Saint Cloth Myth? Perhaps it is Bandai's way of giving something unique to their core market in an increasingly international market. Some food for thought. 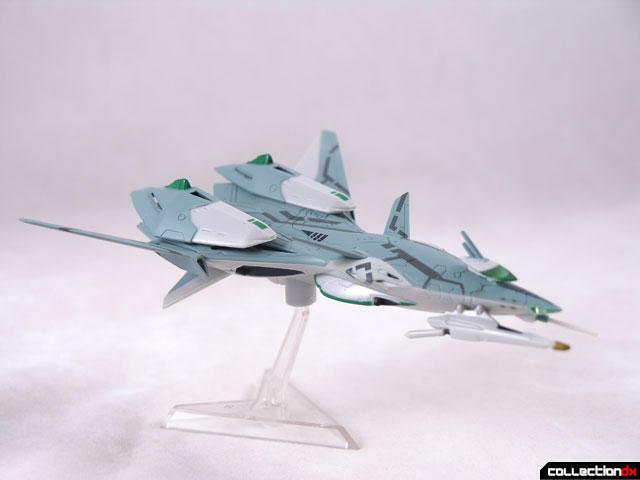 This set here is the Tamashii Web Exclusive Ghost & Weapons set for the Macross Frontier DX Chogokin RVF-25. 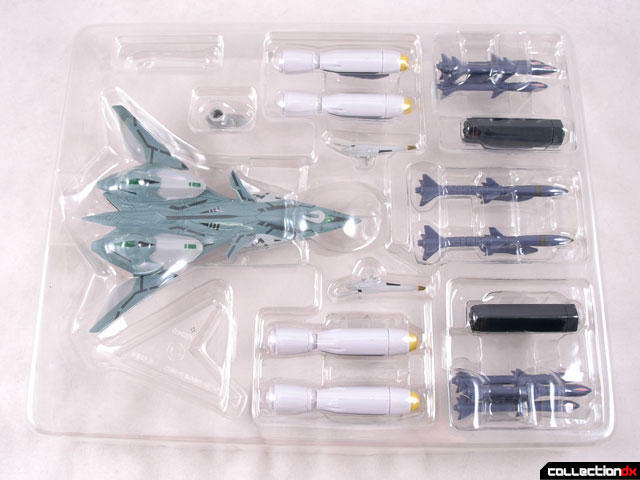 These parts can be used with any VF-25, but they are specifically geared for Luca's RVF-25 Messiah. 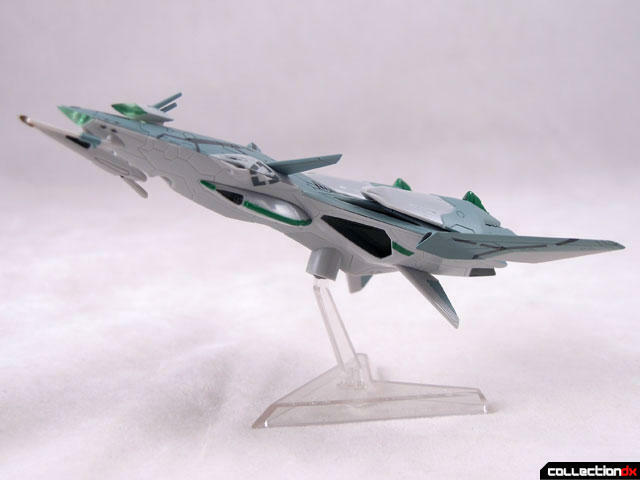 To order the set you had to place an order on the Tamashii Web site by a certain date and fork over 5,200 yen. 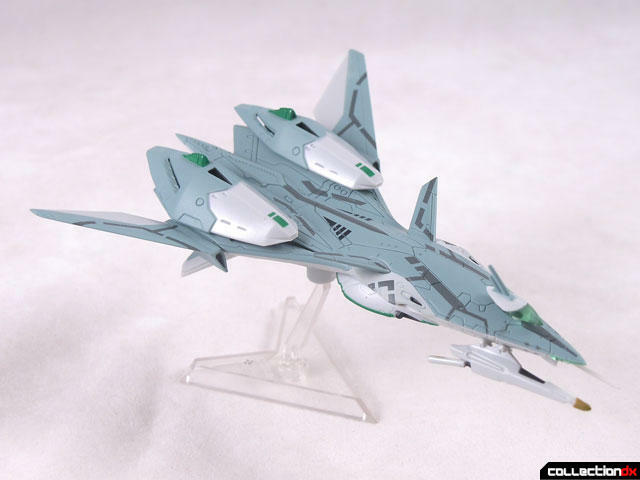 However, if you bought the RVF-25 DF Chogokin Luca Custom, you could send in a coupon that allowed you to purchase the set at a reduced rate. Oh yeah, it's all in Japanese, and they only ship to Japan. As a non-Japanese resident, you have a few options. One of course is to pick one up on the secondary market, another to use a middleman to place an order on your behalf. 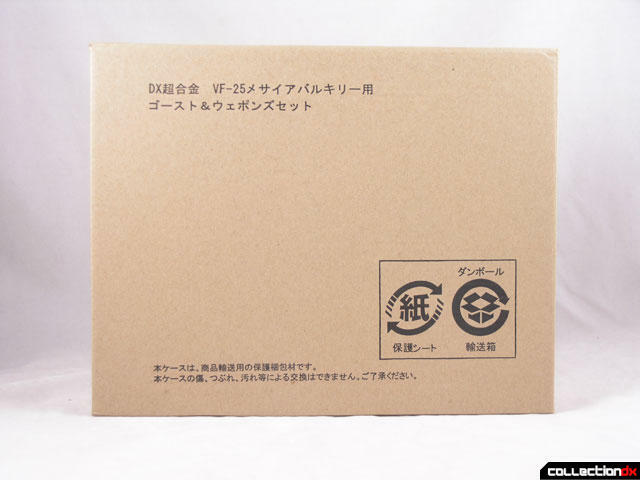 Few web stores accepted pre-orders for the sets such as Anime-Export. You can expect to pay about double the retail price for this set through these channels. Such is the price we pay. The set arrives in a cardboard mailer, inside that is a plain looking monochrome outer box. The parts are organized neatly in a tray. So what do you get for your hundred bucks? Not a whole lot. This set is for die-hards. 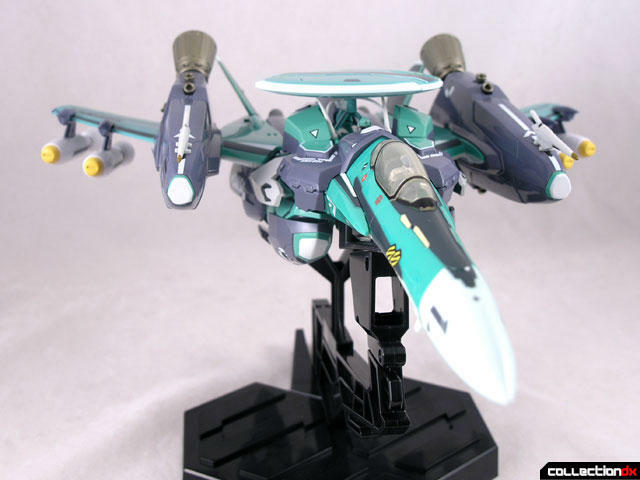 You get the Ghost fighter, stand, 2 antennae, and three pairs of wing missiles as well as four large white missiles. The ghost is the best part of the set. 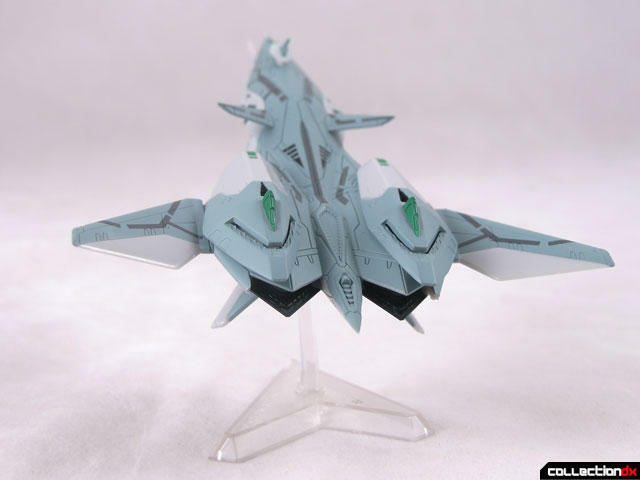 Ghost fighters are unmanned drones that can be sent out in lieu of manned fighters. In Luca's case, he has three identical drones that he has named Simon, John and Peter. This set only comes with one Ghost Fighter, so I don't know which this is. The Ghost is all plastic but solid. It comes with a removable bottom plate so that you can attach the stand connector. The stand is clear plastic in two parts. 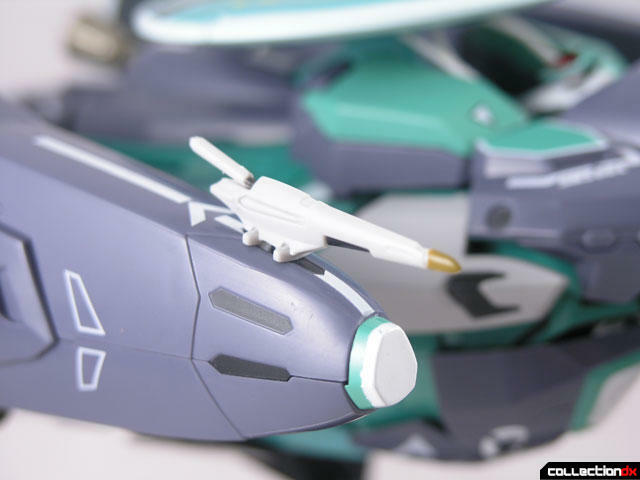 There is also a spot on the nose that is for an optional antenna. 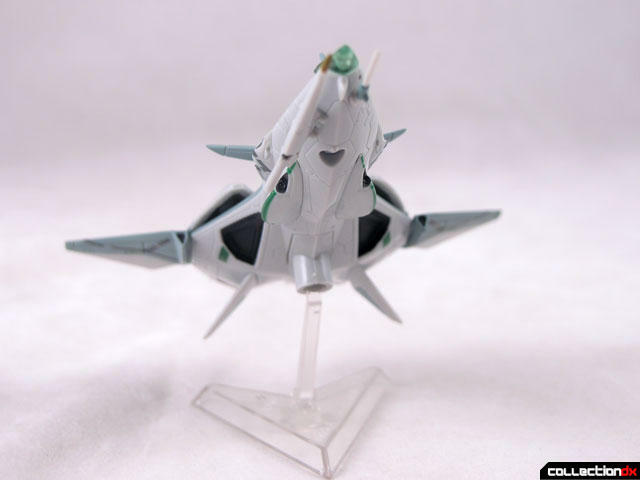 All of the other accessories are for the RVF-25, in fighter mode only. 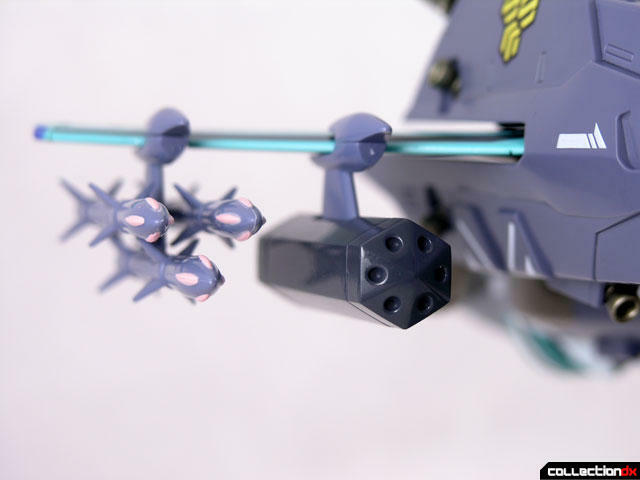 Each of the weapon pods attaches to the wings in any number of configurations. Each has the same connection method, but are keyed to fit on either the left or right wing. None of the missiles can separate from their connectors. Finally there are two antenna that can be attached to the tips of the boosters. Not sure what their purpose is, but they look like parts that really should have been packaged with the core valkyrie. You can also take one of these antenna and attach it to the ghost booster, but that leaves one empty spot on the booster. Why not give you three? So there you have it. Not a lot of essential parts in this set, so maybe I can understand why this was a mail-away, but still, the whole concept leaves a sour taste in my mouth. Why Should one pay extra?? The only appealing item in the set is the ghost. Luca didn't even fight a whole lot in the series he was the intelligence gatherer. 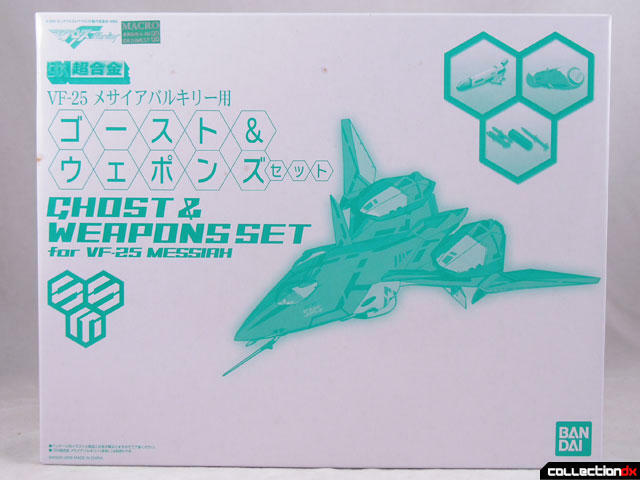 And even then one would have to buy 3 sets just to have enough ghost for anime accuracy. This would be a pass for me. This just looks like way too much. The original design is busy, the armor makes it very busy, and the added armaments and radar dish just push it over the top. It hurts my brain to look at. 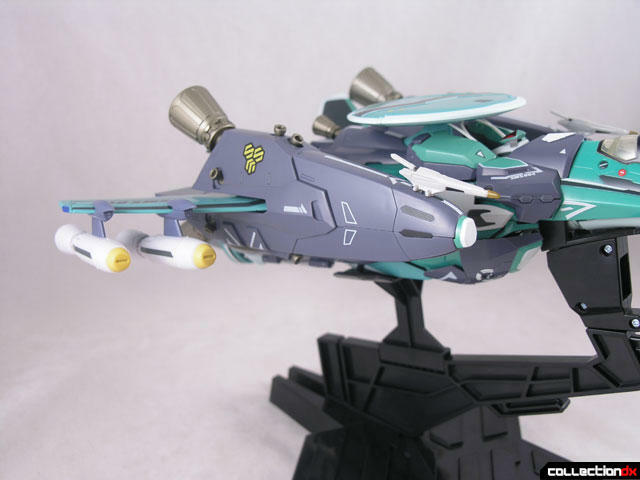 The idea of separate, expensive, hard-to-get parts sets really has me on the fence about the upcoming Big O, and wary of upcoming Bandai releases in general. Anyone think that this might have something to do with Bandai throwing a bone to Japanese distributors who are losing overseas business due to the Toynami/Tamashii deal?